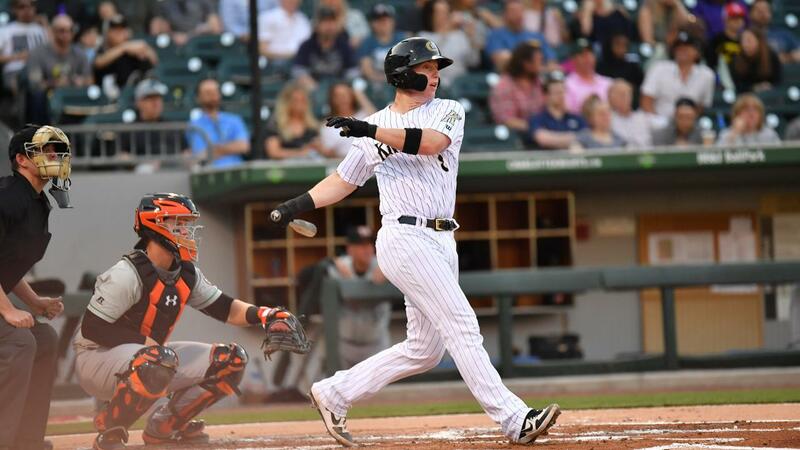 (INDIANAPOLIS, IN) - In a back-and-forth battle, the Charlotte Knights were defeated 9-7 by the Indianapolis Indians on Saturday night at Victory Field in game three of their four-game series. Indianapolis got two runs back in the bottom of the first against RHP Spencer Adams, who was pitching on the day of his 23rd birthday. The teams then traded runs with Charlotte striking in the second and Indianapolis scoring in the third to bring the score to 4-3. Three Charlotte errors led to three Indianapolis runs in the bottom of the fourth, ending Adams' night with the Indians in front 6-4. Over 4.0 innings, Adams gave up six runs, three earned, on 10 hits with three earned runs and two walks. The Knights will conclude their four-game road series against the Indians (Triple-A affiliate of the Pittsburgh Pirates) on Sunday afternoon. Pre-game radio coverage of the 1:35 p.m. game is set for 1:20 p.m. on 730 The Game ESPN Charlotte. The "Voice of the Charlotte Knights" Matt Swierad will have the call for all of the action. RHP Dylan Cease is set to make his second Triple-A start for the Knights.